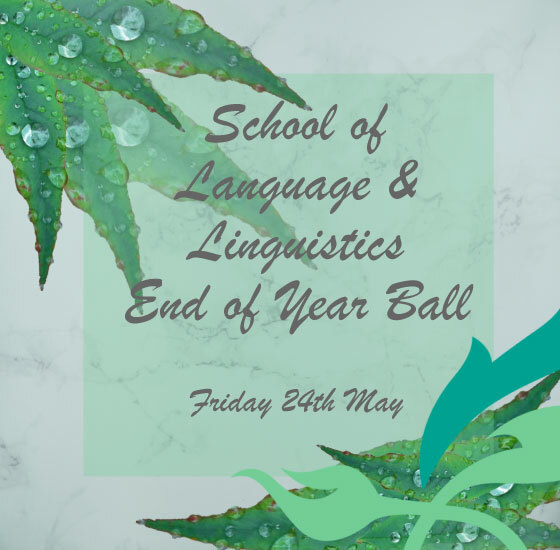 This year the School of Languages and Linguistics End of Year Ball will be held at the SU on Friday the 24th of May at 7pm! Entry is £10pp (for both staff and students) and you are welcome to bring a plus one. Your ticket includes a welcome drink, food, and a photo booth. So come along and celebrate the end of another academic year! If you need any further persuasion, check out the facebook here - alternatively tickets are available online here or at the info point during termtime. Please email [email protected] with any queries and we will forward on to the right person to contact!